Consumer Contact: Water Heating Technologies toll-free at 888-883-0788 from 9 a.m. to 5 p.m. ET Monday through Friday or online at www.americanstandardwaterheaters.com and click on “Recall Information” for more information. Description: This recall involves Water Heating Technologies “American Standard” gas water heaters. The model numbers included in the recall begin with GN and GSN. The water heaters are white with an “American Standard” logo printed on the front. The model number is printed on a label on the side of the water heater. The water heaters were sold in 30, 40 and 50 gallon capacities. 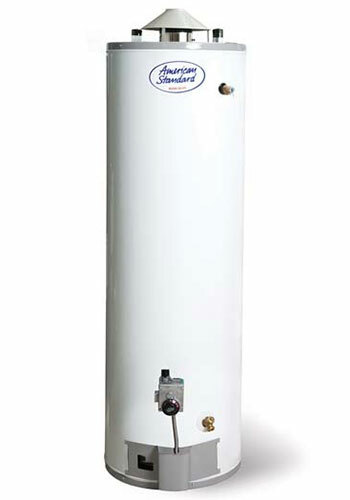 A complete list of models and serial numbers can be found on the firm’s website at http://www.americanstandardwaterheaters.com/recall/. Sold at: Plumbing contractors nationwide from May 2015 through February 2016 for between $400 and $820. Importer: Water Heating Technologies Corp., of Pomona, Calif.